If you have never been to Japan, the title of this post probably seems to state the obvious. You may, like me, be dredging up ‘O’ Level geography, and thinking, what’s so surprising about that? Surely Japan has a temperate climate? For anyone who lives, or has lived in Japan, the reaction is more likely to be, oh, that old chestnut. Or, to put a katakana slant on it, that old marron. Japanese people are very proud of their four seasons, and feel that this makes Japan special in some way. Since it can be a rather frustrating statement, I have, on occasion attempted to point out that this is not something to be filed under ‘Japanese uniqueness’, and have been rewarded with vehement shakes of the head, and the insistence that Japan having four seasons is somehow different from any other country with a temperate climate having the same. I have even, in another attempt to disagree with the statement, pointed out that surely, Japan has five, since there is also the ‘rainy season’ (梅雨) from roughly June 10th to July 10th, but that also is met with incredulity, denial, and repetition of the mantra that ‘Japan has four seasons’. 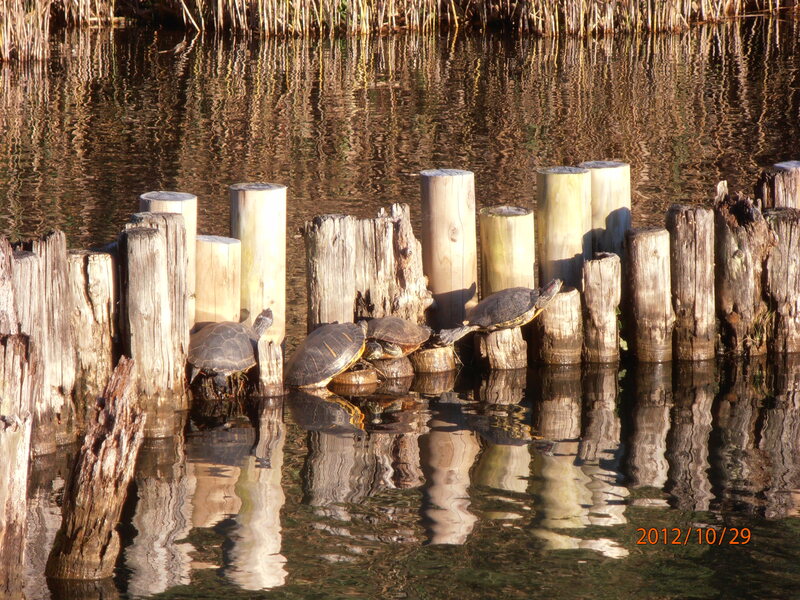 Clearly, Japanese, like many languages, has four words for the seasons; spring (春), summer (夏), autumn (秋) and winter(冬). So where is this idea coming from, that Japan is somehow different? I would say that Japan is different because Japanese people react differently to the change of seasons. Even in Tokyo, or maybe especially in a huge city like Tokyo, we watch the seasons come and go, we look forward to the cherry blossoms, the autumn colours, we notice the months passing by the fruit and vegetables in the shops, and we take time to enjoy the changes. I remember as a child looking forward to running through the fallen leaves, I remember my grandfather getting roasted chestnuts from somewhere, but as an adult the arrival of autumn meant putting the clocks back, the nights drawing in, and a kind of bracing for the greyness to be endured before the joy of spring. For a few years, when I first lived in Japan, I found the cherry blossom-viewing season a bit much, I didn’t really understand the eagerness to get out there and look at the blossoms. I don’t remember exactly when I started to feel differently, but these days I feel as if I am almost holding my breath, watching the buds on the trees, just waiting for Tokyo to turn pink. I look forward to buying sakura-flavoured tofu, to meeting friends and wandering around under the trees. I still don’t see the attraction of sitting under the trees with a generator to power a karaoke machine, but maybe that, too, will come with time. The rainy season, apparently not a season but still called one, is the soggy month we go through before the heat and humidity of the summer really set in. 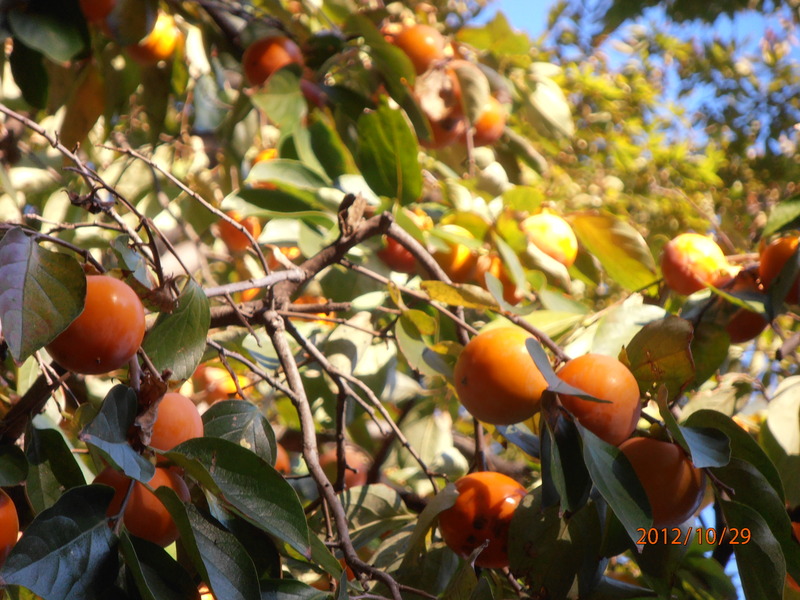 Its Japanese name, 梅雨, is the kanji for ‘plum’ and ‘rain’, but the reality is far less poetic. Some years we have a fairly dry rainy season, but a wet rainy season is an unpleasant experience. The summer that follows it is long and humid and drags on until around the end of September, though by the second half of the month it is noticeably cooler and less humid. Maybe because it is so long and draining we look forward to the autumn. Almost spookily, the autumn equinox seems to bring a marked drop in temperatures; there’s a chill in the air and anyone still wearing anything short-sleeved will be asked often, aren’t you cold? In fact, as I was writing this the newspaper man arrived with the bill for this month, and the first thing he said was, it’s got cold, hasn’t it? Yes, it has, but the temperature is still around mid-teens celsius every day with no need for heating yet, at least in Tokyo. I know the UK is already a lot colder. 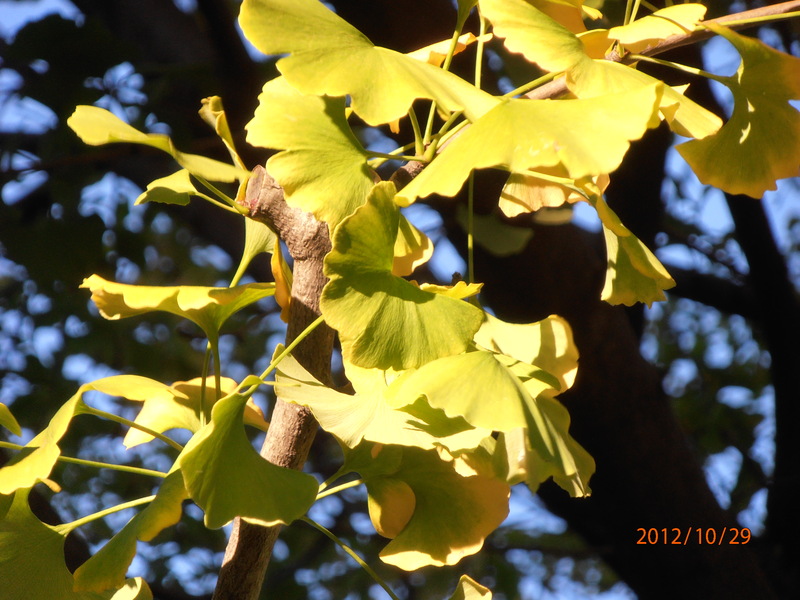 and a gingko tree with bright yellow leaves against the blue sky. Japan has four seasons. A lot of other countries do too, but Japan is different, not because of the number but because so many people make time to go outside and appreciate them. 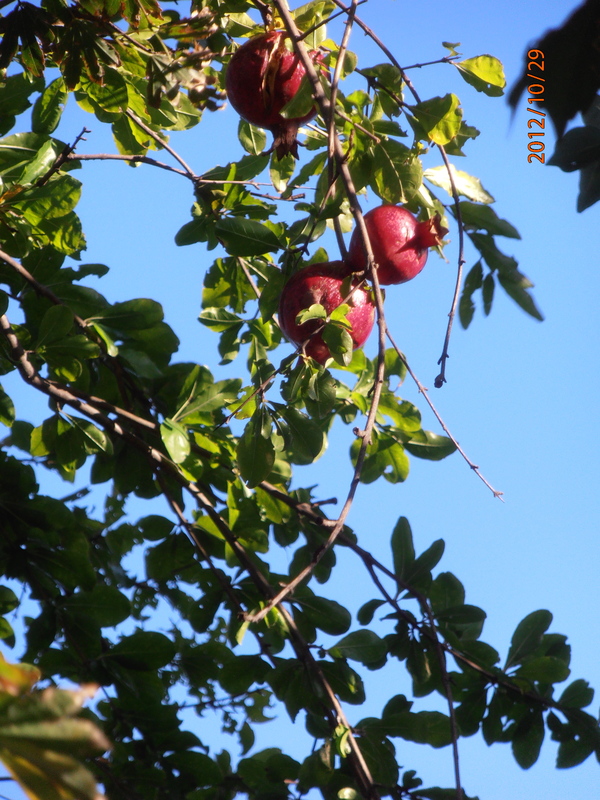 This entry was posted in Japan, Tokyo walks and tagged autumn, Japan has four seasons, rainy season, Senzoku Ike, 梅雨, 洗足池 on October 29, 2012 by tokyopurplegirl.